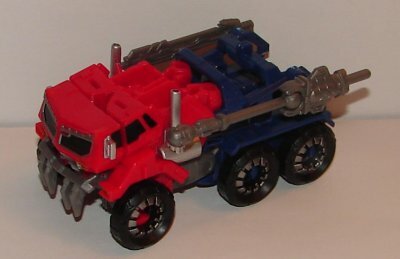 Vehicle Mode: I really like this one. 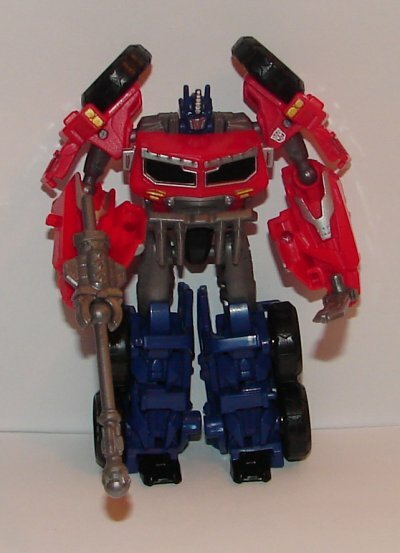 He’s a thousand time better than the original Cyberverse Commander Optimus Prime. He’s an entirely new mold and not a remold of the original. 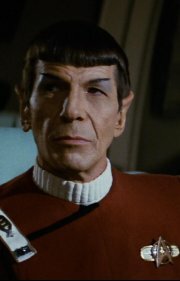 I like the black windows a lot better than he green ones on the Voyager toy. Robot Mode: He really looks great in robot mode. He has a sword and missile launcher, though I’m not a fan of this kind of missile. He’s got a great head sculpt and nice paint apps. 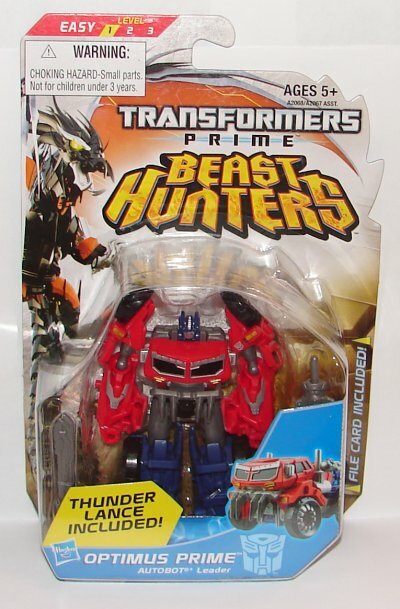 This entry was posted in Toy Reviews, Toys, Transformers and tagged Beast Hunters, Commander, Cyberverse, Optimus Prime, Toys, Transformers, Transformers: Prime. Bookmark the permalink.